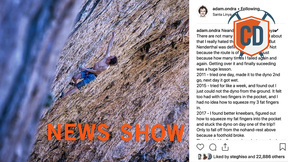 Climbing Daily - The freshest news in bouldering, sport climbing and alpinism presented by Matt Groom. 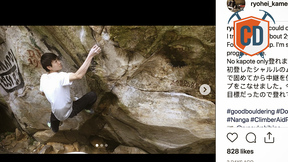 Matt is a climber, mountaineer and long-term admirer of Jimmy Webb's beard. 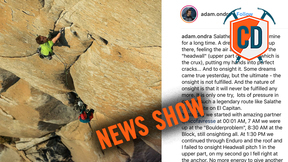 Based in Chamonix, France, he'll be bringing you all the latest from the world of climbing. Be the first one to hear about our weekly deals on climbing gear. Receive 5% Credit Back on every order. Become a member now – signing up is free & easy! Company information: Banana Fingers T/A (trading as) EpicTV, Unit 2 Bloc Climbing Centre, New Gatton Road, Bristol BS2 9SH, United Kingdom. EPICTV, the EPICTV logo and all other EPICTV marks are trademarks of Elisa Oyj. Banana Fingers and the Banana Fingers logo are trademarks of Banana Fingers Ltd.